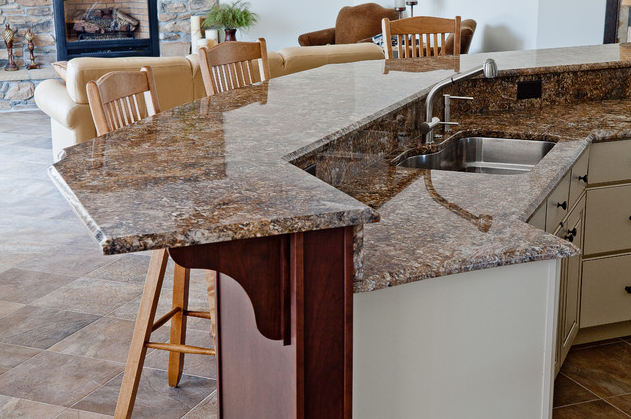 Granite Grannies Kitchen & Bath Designers Chocolate Bordeaux Granite This is Chocolate Bordeaux Granite.Chocolate Bordeaux granite features cappuccino blocks and veins accentuated with white, grey, and black. Chocolate bordeaux granite is a seemingly rare stone which features gold and brown prominently in its veining of sorts, instead of the more common shades of gray. This unusual coloring gives the polished stone slabs a very sophisticated look, which works especially well with wooden furniture, both in lighter and darker colors, adapting well to both more traditional or modern setups. While granite in general is traditionally used to build kitchen countertops – and this one is no exception, as it looks beautiful in a traditional kitchen setting, both as countertop and tabletop – the fact that this Brazilian granite, which is also known as Cappuccino and Torro, features speckles of mica and quartz give it a certain warmth, while the cream background adds to its versatility, allowing it to be seamlessly incorporated into the usually light and airy designs of outdoor living spaces, as well as cozy and welcoming indoor rooms. This beautifully polished Brazilian granite is an ideal addition to a neutrals-focused interior design, and can be used to create superb granite countertops, flooring, walls, and more. It is a popular choice for both residential and commercial applications. 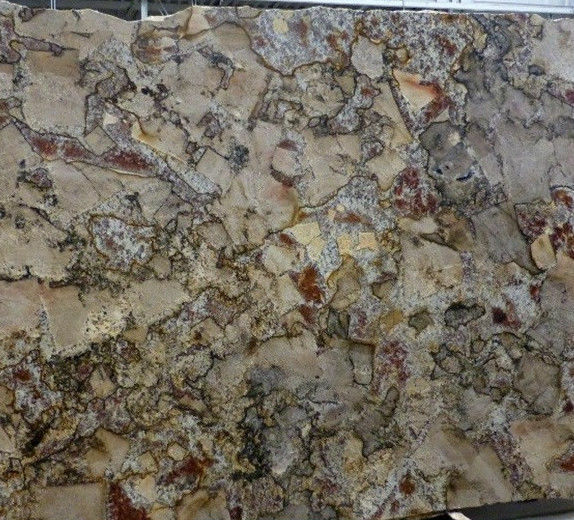 This is Chocolate Bordeaux Granite. All the curves on the bar tops and the island were designed to mirror the arches in the connecting rooms. The curves on the sides of the counters were designed to create a welcoming shape and a sense of continuity as you look around the space. Edge is a a 3/4" Bevel. 03 ) Q: How to ship the cargos from our country to your city? 04 ) Q: How do I obtain samples? 05) Q: How to calculate the weight of stone products? 06) Q: How does your company handle claims for poor quality product?